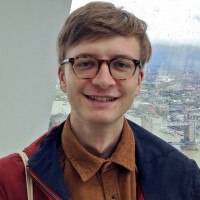 I am a recent graduate with experience writing for quiz shows on major BBC channels, including one of BBC 2's flagship quizzes, Only Connect. I have a creative, humourous approach to writing questions, and am quickly able to get a grasp of the unique style/character of a given programme. I am once again working on Only Connect for its 15th series. Since I last worked on the series I have had an invaluable opportunity to visit the Cardiff studio, so I am now writing with an improved grasp of the wider process of filming and production, which allows me to anticipate potential in-studio pitfalls in the early stages of question development. I worked on the 14th series of the show, working on questions for the Connections, Sequences and Missing Vowels rounds. I’m told I had a very high hit rate of pitches used, and I contributed to around two thirds of the episodes in the 2017-2018 series. I worked independently to conceive and research questions, and fully sourced them using an online question management system. As part of a small team on this production I produced more than half a thousand questions, including several in more niche themed categories which required me to think independently but with an intuitive grasp of the show’s character, style and humour. Production staff highlighted that I played an invaluable role during the crucial final week or so of question writing, where I provided dozens of fully sourced new questions on a daily basis.